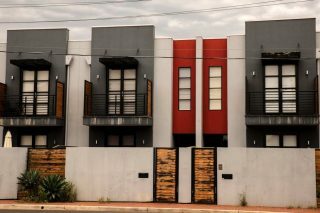 ABC News is throwing light on a disturbing trend in modern housing developments. An article by Malcolm Sutton points out that the current building code encourages developers toward energy efficient housing options – which sounds great – but the result is lots of insulation and little in the way of natural ventilation. Because of this, these homes rely on the use of air conditioning to cool them down in the scorching Australian summers, as all the airtight insulation doesn’t let the building cool down overnight. One of BEC’s key focuses in our design process is ESD; a focus which is demonstrated in our use of glazing and passive cooling design as we aim to lead the industry toward a greener standard of design.